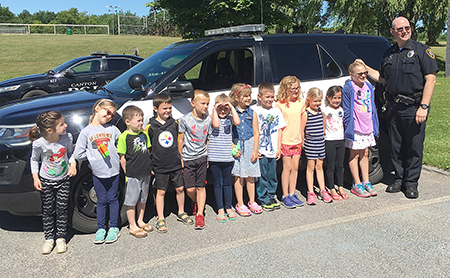 CANTON -- The Canton Police Department and the Canton Recreation Department recently sponsored the annual Police Adventures summer program at the Canton Pavilion at 90 Lincoln St. The three-day program ran from Monday, June 25 through Wednesday, June 27 and is intended to introduce area children to what the job of a police officer is, why they do what they do and who they work with in order to serve and protect the public, said a press release from the department. Each day of the program offered the participants the opportunity to meet new officers and to participate in various activities. Day 1 began with a presentation by St. Lawrence County Sheriff’s Deputy Leighton Filiatrault who is one of the department’s Safe Child Program operators. 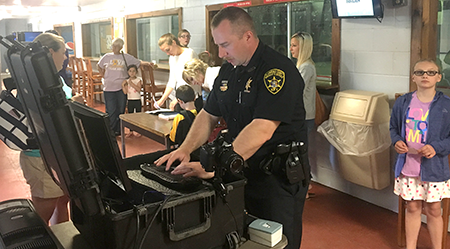 Thanks to the Sheriff’s Department each child received an ID card with their name, photograph, fingerprint and other pertinent information that their families can keep in case they ever become missing or abducted, the press release said. The day continued with a presentation from Chief James Santimaw and Officer Garrett Fries talking about what a police officer does and what is carried on a police officer’s duty belt and inside of a police car. Recovering a fingerprint from a glass window was also demonstrated. Day 2 began with a K-9 demonstration from Deputy Colin Nichol and K-9 Fable from the St. Lawrence County Sheriff’s Department. The participants learned about the various equipment needed for K-9 Fable and his handler to operate efficiently. They also got to see K-9 Fable conduct a search and meet him afterwards. 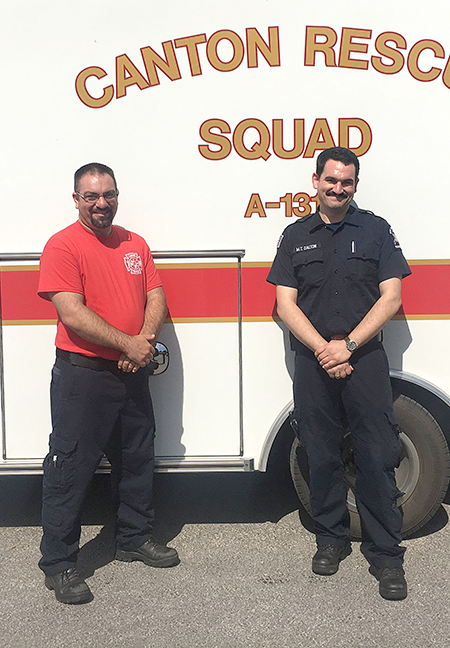 The day continued with a presentation from Assistant Canton Fire Chief Matthew Kroger with Engine 6, and Canton Rescue Paramedic Mark Dalton and EMT Jared Ashley in Ambulance 131. The kids got to check out the firefighting gear, sit in both the fire truck and the ambulance and go to see how a person’s blood pressure is taken. Day 3 was all about bicycle safety. 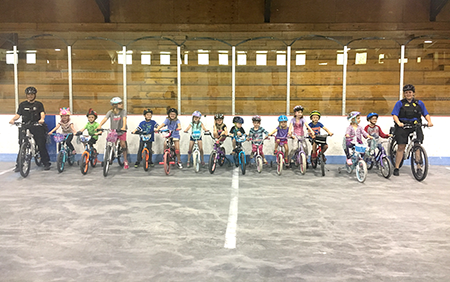 All of the participants brought their bicycle and bike helmets inside of the Pavilion where they met Canton Police Bike Officer Ashley Coffey and St. Lawrence Safety & Security Bike Officer Kelly Canary. The officers checked each participant’s bike and helmet for a proper fit. Then the group practiced bike safety, hand signals and got to ride different obstacle courses in the pavilion with the officers. 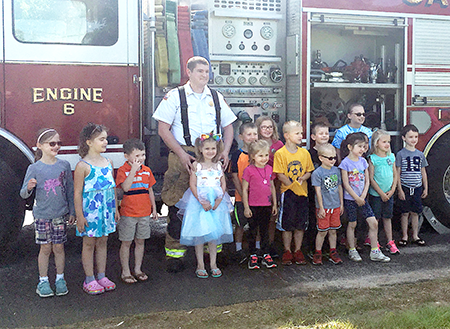 The Canton Police Department thanked the St. Lawrence County Sheriff’s Department, the St. Lawrence Safety & Security Department, the Canton Fire and Rescue Department and the Canton Recreation Department for donating their time and efforts to make this a successful endeavor, the press release said.